How Many Lily Pads Are On Your Pond? A farmer has a pond and walks out one morning and sees that a lily pad has shown up on the water. Not worrying about it, he walks away to do something else. The next morning he walks by the pond and sees two lily pads. Again, he moved on to better more important things. I mean it’s only two lily pads he thought. This goes on for a few more days with the amount of lily pads doubling every day…2 to 4 to 8 and so on. Now the lily pads were getting in the way, but it’s no big deal there are more important things to do and there will allays be time. Now this pond was a critical part of the farm. It helped water the crops and feed the animals. Too many lily pads and the farm would be at risk. The Farmer kept walking by and tended to more important things. On the 29th day the pond was half filled and yet the farmer just looked at it and thought “well this could be a problem but I have more important things to do”. The next morning, the 30th day, the pond was totally covered and the cost to the farm would be high. It’s a tough economy and companies, and even more so claim departments, are constantly being asked to do more with less. There is a sense that looking inward for growing lily pads is just a waste of important time. A few lily pads won’t amount to much and well there are more important things to do. Ensuring that lily pads are cleared from the pond should be a critical part of your regular business operations and should be addressed early and often. What Types of Lily Pads Are Out There? Closings – Take time to clean out all those resolved files that have not be closed. If you are still using paper files they are taking up space. How many of those files are cluttering up pendings and making it difficult to truly manage the group? Are there open reserve on those files creating redundancy and bringing down the financial health of the company? Go look at those lily pads because when they grow it can have direct impact on your bottom line. Invoices – I hated dealing with invoices. I mean really, what does that have to do with the 200 files on my pending. Again, these lily pads can grow quickly and the clean up is going to be costly on a number of levels. Too many bills piling up and being paid all at once puts pressure on cash flow. Failing to pay invoices is a quick way to damage the company reputation and may cause some vendors to not want to do business with you. 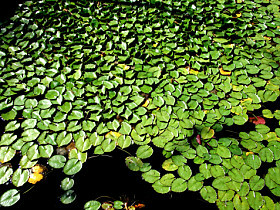 These really are easy lily pads to clean up so put aside time every week to get your bills paid. There are of course so many lily pads in the office. How many times has the sheer act of allowing your lily pads to grow unchecked resulted in higher costs to your organization. So take time and don’t wait to the 30th day to find out its too late. What kind of lily pads can you clean off? Tagged with Best Practices, Closing Files, Invoices.